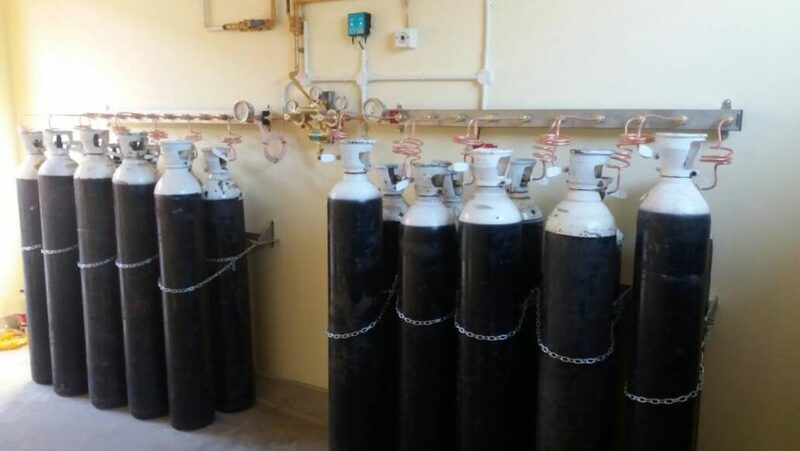 Intaka Tech South Africa supplied its sister company Intaka Technology Namibia with a 2 x 10 staggered oxygen gas manifold for Katima Mulilo Hospital as a replacement to the existing old and leaking 2 x 10 gas manifold. A new nitrous oxide gas manifold is also in the pipeline, which Intaka aims at installing in the first quarter of 2018. Intaka Technology Namibia has a Gas Generating System (GGS) on site which produces medical oxygen to the requirements of the United States Pharmacopeia’s Oxygen 93%.